I have recently revised my approach to the Peninsular War e-mail campaign to try to engage the players a bit more. Rather than insist they sit in their HQs awaiting reports of engagements they never saw, now whenever there is a contact on the master map between any more than scouts and messengers I will prepare a detailed game map of the 10 mile x 10 mile map square. 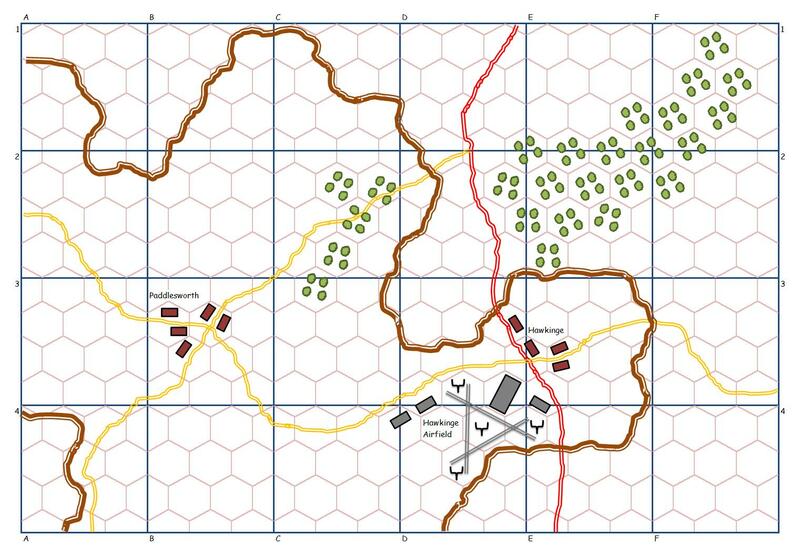 My copy is gridded in hexagons so that any part may be quickly copied to a wargame table or the Commands & Colors board as required. 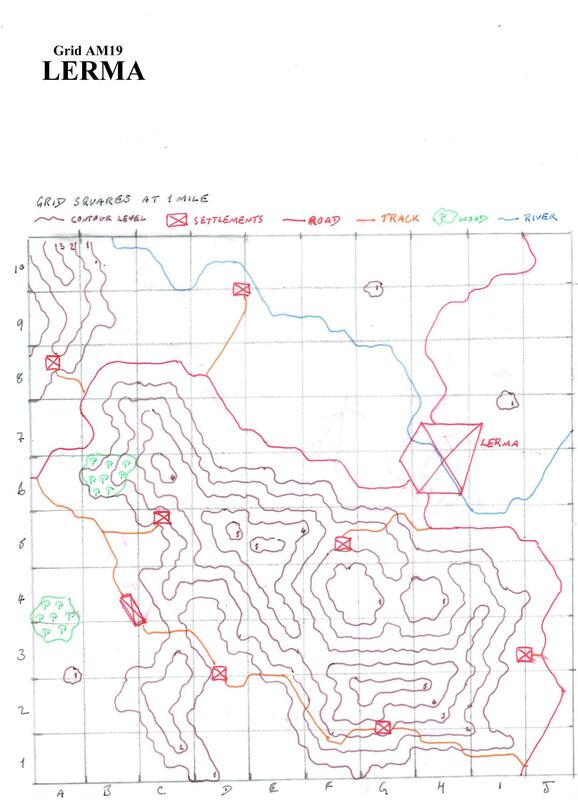 The player in residence or who has scouted the area will receive a tracing, gridded in 1 mile squares. The player entering the area will receive a tracing of the main roads and rivers, town and hilly areas. The players are then demoted to the position of the senior man on the spot and asked for orders. Results of any ensuing conflict will not be known to the player until he receives the local commander’s report or reads about it in the newspapers. Added to this activity I have (some might say foolishly) started up another campaign to umpire. Trying to get away from always playing Napoleonic games I resurrected my Operation Sealion campaign. I started to play this solo some time ago, but thought an opponent would be a good idea. Then I realised that there could be no secrecy, so I found a second player and I am now the umpire. This campaign is run using a linked area system with 65 defined 6ft x 4ft tabletops. I have a campaign book with the orders of battle and small maps of the areas. 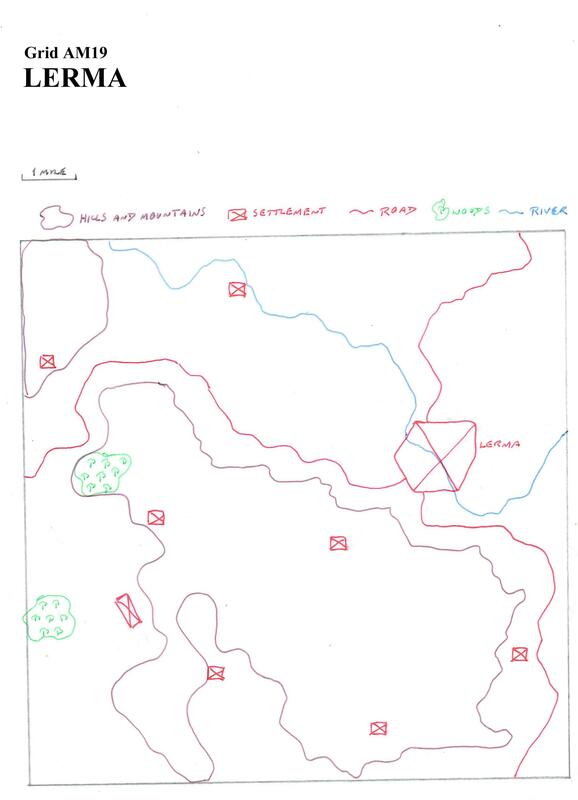 I have started to create the maps for the game using the drawing tools in Microsoft Excel. I use this tool because it enables me to add positions of troops later and to annotate the map using the “comments” function. Also I can keep all the maps, orders of battle, timelines and notes in one editable file. Here is a sample map, gridded in 1 foot squares for the players and hexagons for me.